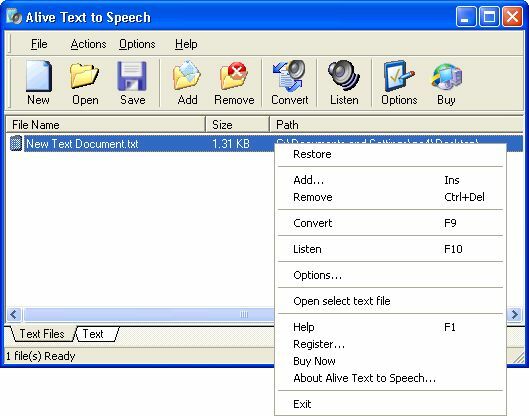 Alive Text to Speech is a Text to Speech Reader and Text to Voice files Converter; it can read Text in any application, and convert Text to MP3, WAV, OGG or VOX files. 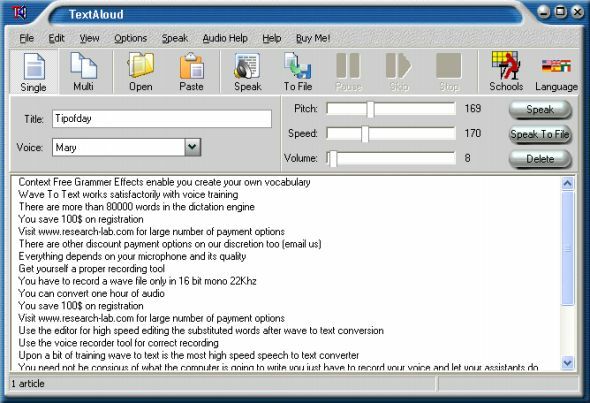 Text List is software for work with a text as with a list. By this program you can create and manage a shopping list, to do list, a list of keywords, email addresses etc.